"I have the unique opportunity of being both a candidate that Chuck has placed as well as a source that I have utilized to recruit my senior staff of seasoned and experienced financial executives as well as a Chief Compliance Officer. Chuck is very focused and has brought about results very quickly without jepordizing the quality or process." - Joe Chinnici, EVP and CFO, Comverse Technology, Inc. Extremely limited "off-limits" to inhibit search. Fully leveraged industry knowledge and personal contacts on every engagement. Flexible fee solutions tailored to match your project's urgency. Limited number of engagements providing extreme focus and intimacy with clients. Continuous dialog throughout every phase of our relationship. All three partners contribute to the success of every engagement. 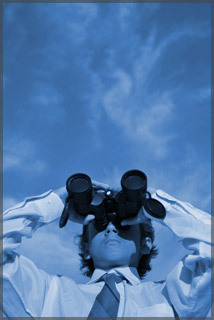 We deliver the benefits of a search to deeper levels within a client's organization. Unparalleled research and technology resources ensure thorough, rapid searches. Excellence delivered through superior execution.